Want to quickly see how the open-source software Stash works? 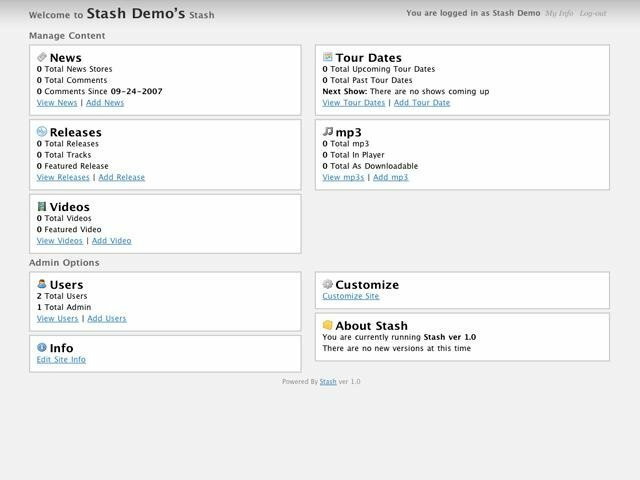 You'll find a free and updated demo installation of Stash here. We are currently updating the Stash demo. Please check back shortly. There will be a new version up soon. Stash CMS is a free content management system developed using PHP as a programming language and a MySQL database to store information. Stash CMS was specifically designed to help create and manage musical bands websites. 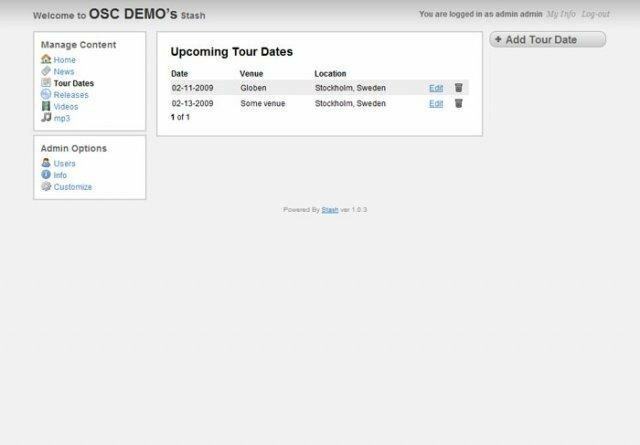 A Stash CMS demo allows you to customize information about the band like news, tour dates, discography and more. 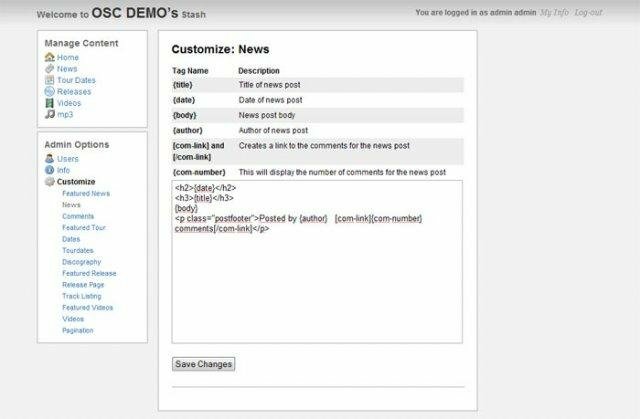 Other features you will find in a demo site include RSS feeds, a simple admin interface and an MP3 player. You can download it using the link below to create your own Stash CMS demo. The latest version available for download is 1.0.3 and was released on October 14, 2007.